InView Extra Male External Catheter consists of a clear, latex free material that allows for visualization of skin tone. Security and ease of application is ensured through an integrated adhesive. 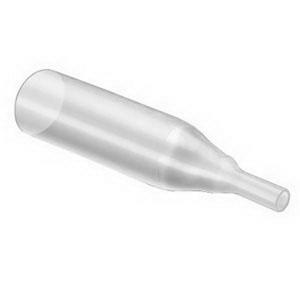 Kink resistant tip helps to minimize urine from flowing and causing it to fall off. It is designed for upto a 24 hours wear time. 70% more adhesive than the Standard or Special sheaths. Clear, latex free material allows for visualization of skin tone.